The Four-Sided Panorama Compact Mirror is a special mirror that can fold out and then be held in a curving arch, giving you a great view on how the back of your hair or head looks. 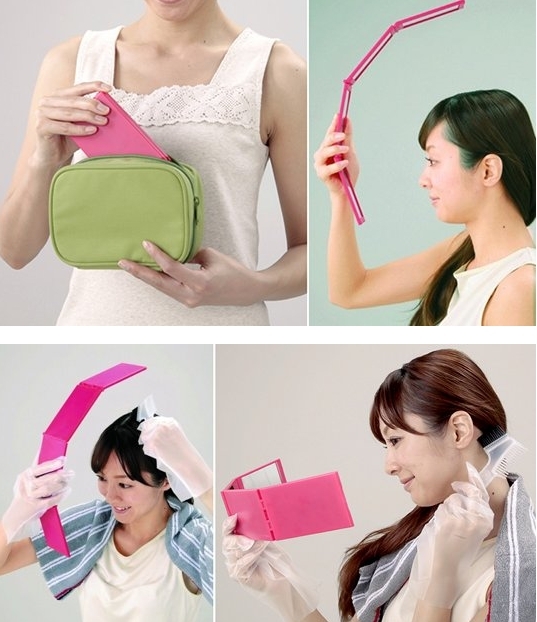 Never be caught out by embarrassing hair blunders again with this unique and practical beauty product. It folds up neatly so it won’t take up any more space than a regular compact cosmetic mirror, and it means cutting or dyeing hair, or checking the make-up on your face are now all be a cinch!